“I take care of people with dementia, but at most times, I am the person in and out of hospitals because of depression,” that is a statement that I have heard too often being made by my fellow caregivers. And because I do not want to be the person saying it, I always keep myself aware of what will bug me down or make me stressed out beyond repair. The American society of aging has actually listed a group of organizations that could help you with curbing stress and being bugged down by depression when you are giving care to the aged. 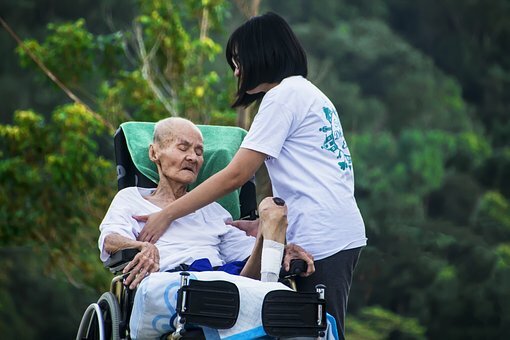 Caregivers are likely to be socially isolated, face financial difficulties as they try to take care of the patients and give them the best services ever. Worse still if the patient is your relative and you are taking care of them at home. You always feel that you have the moral responsibility of being with the patient even when your friends and age-mates are out there having fun and enjoying themselves. In this article, I list down some of the things that I do as well as those that I have learnt on how caregivers can take care of themselves while on this hectic job. You are only human and will at one time feel so drained that you might start behaving like a lunatic and end up being taken care of if you continue insisting on washing the patient, taking them for walks, feeding them and even taking them to the washroom in the dead of the night. Accept it when others help and actually be the one who seeks the help even before it is extended to you. Support groups offer encouragement and the feeling that you are not alone in the care-giving burden. When you meet with the other group members, this is an opportune time to socialize and feel part of a larger group. Share your fears, intimidation and successes with the others. You need to make it a habit to talk to someone who will understand and listen to you without judging you. Family members are not a good pick since they might feel that you are just goofing off and complaining about something that you should be doing. So the best option would be to speak to a counselor or a doctor who will give you a listening ear.